Rather than discussing rules and regulations like most formatting books, we prefer to talk about how to format a script in terms of choices. 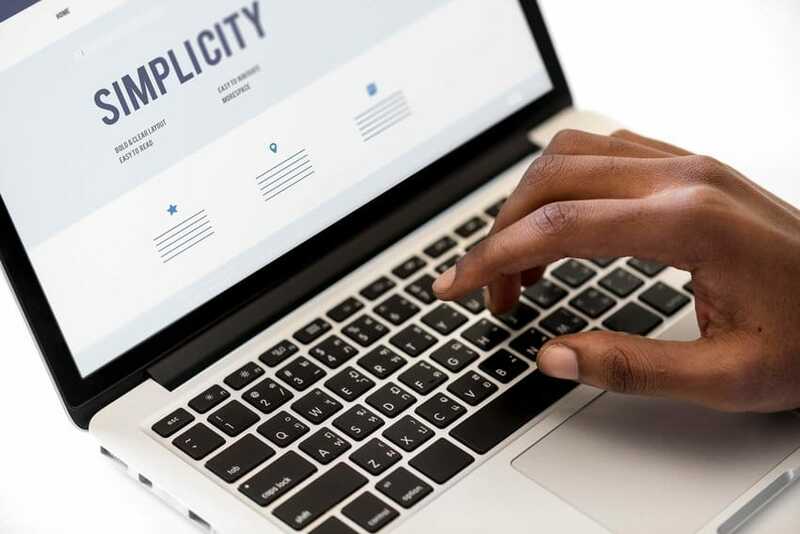 This is because, when it comes to movie script format, there are very few hard and fast “rules.” However, some script formatting choices will make you look more amateurish than others. 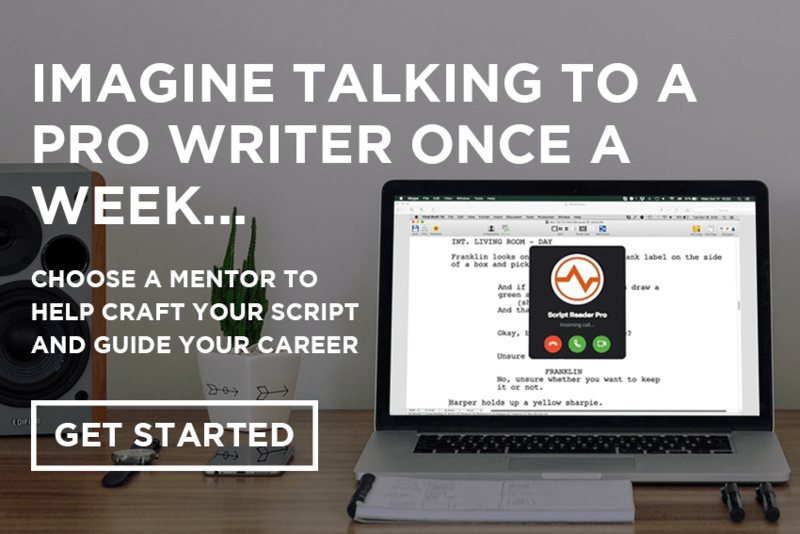 In this post, we’re going to discuss why and how you should start to reframe your mind to think about movie script format in terms of choices rather than cast iron rules and give a couple of examples along the way. When it comes to thinking of your movie script format in terms of choices, there are good ones and bad ones. 1. Confuse the reader. They have to struggle to figure out what’s going on in the scene because it’s not clear due to the formatting. 3. Irritate the reader by going against “the norm.” These things aren’t necessarily “wrong” but they’re not usually seen in a script. For example, writing action lines in all caps. 1. Make it easy to understand what’s happening. The reader shouldn’t have to struggle to figure out what’s going on, such as if a character’s indoors or outdoors, as it distracts hugely from the read. 2. Remain consistent. Every single element, character name, slugline etc. stays the same throughout the whole screenplay. 3. Largely stick to “the norm.” While you’re trying to get noticed with a spec script, it’s best not to do things your own way just for the sake of it. You’re running the risk of irritating the reader if you do. 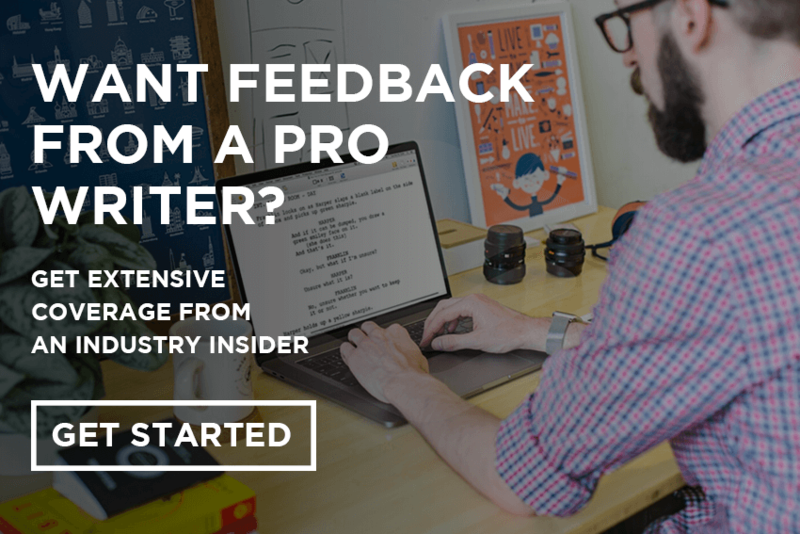 Let’s start our exploration on how you should aim to make better movie script format choices rather than look for definitive rules, by taking a look at how to format an email and/or text message in a script. In this case, instead of worrying about if you’re following “the rules” and formatting the conversation “correctly” it’s better to think in terms of choices. While this method is fine for one message, it doesn’t look so great for whole conversations. Again, there are no formal rules to follow here. Feel free to tweak this or come up with your own, but we think email, text and instant message conversations are best handled as normal dialogue—albeit with a couple of minor alterations indicating the fact we’re reading messages. As we said, it doesn’t really matter how you do it as none of this stuff is codified anywhere when it comes to movie script format. Go with the method that feels right to you and that doesn’t confuse the reader. Movie Script Format Example #2: Misusing INT. instead of EXT. and vice versa. Sometimes a location may feel like it’s an interior when really it’s an exterior, and vice versa. As a general rule of thumb, if a character can look up and see the sky, it’s an exterior. If not, it’s an interior. But what if they’re underwater? In this case, it depends how we arrive underwater. It’s not that important which particular words you use—i.e. UNDERWATER, or UNDERWATER SHOT, or UNDERWATER SEQUENCE—as long as it’s clear what’s happening. Scenes set in outer space can also cause confusion but stick to the general rules for underwater scenes above—avoiding INT. or EXT. before either of them—and you should be fine. 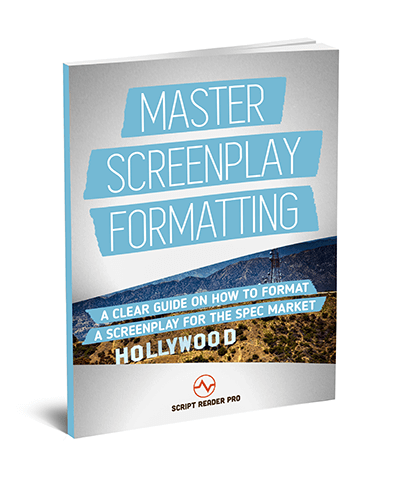 In our book, “Master Screenplay Formatting: A Clear Guide On How To Format A Screenplay For The Spec Market” we show you how a few bad movie script format choices are never going to be a deal breaker as to whether your script gets picked up or not. But consistent and obvious bad choices can make a reader think the writer doesn’t know what they’re doing story-wise either. Whether that’s true or not. It’s extremely rare that a script riddled with formatting mistakes turns out to be a masterpiece. It’s all about making your script as easy to read and as professional as possible. Why deduct points from it before they’ve even read the story? We hope this helps clear up some of the confusion surrounding movie script format. Always remember, there are no rules, just choices, and it’s always best to go for the clearest, most easily understood screenwriting format you can. V.O. vs O.C. Wouldn’t O.C. be better for a telephone conversation where V.O. seems more like narration? Hey Dan. With phone calls V.O. makes more sense to production when a script gets made. O.C. means “off camera” so technically the character on the other end of the phone would be in the same scene, but out of sight. V.O. means the character’s not present anywhere in the scene, but we can hear their voice. Wow. This really opened my eyes. Format rules seems to have evolved over the last 10 to 20 years or so. Though I could be wrong. Thank you, Script Reader Pro. Glad you enjoyed the read, Ryan. Good information script. Would love to get more tips like this! Good post, thanks. How do I get a job with you guys as a reader? Great info, as always! You listed all of my recent AMATEUR-HOUR mistakes! Thanks, Alex, and all! Great post. I’ve always tried to avoid writing phone conversations because I was never really clear on the proper formatting. Thank you for the help. Thanks Roberta – glad it helped. I’ve been looking for a book on movie script format like this for some time. Good work guys! Wouldn’t it still be V.O. But intertwined scenes of both characters are on screen speaking? If you’re referring to the scene with Miranda and Uneek, no because one character is visible in the scene and the other character is only “talking” via text. We’re not hearing her voice so it’s not Voice Over. Yes that’s right. Voice Over is for all thoughts in characters’ heads too. Thank you for this. It was helpful. Glad to hear it, Mercy! What i did not realize is that formatting was such a b*tch! Might not have started writing in the first place lol.